Providing high levels of traction and excellent handling capabilities, the Dynapro MT RT03 achieves excellent off-road performance. 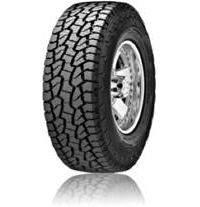 Constructed with high-strength belts this tyre delivers enhanced steering stability. Designed with specially zig-zag shaped shoulder lugs, the Dynapro MT RT03 works to enhance off-road traction even under harsh conditions. This tyre provides high levels of durability thanks to a side protection block to provide shock absorption and restrict pothole damage.